Nitrogen tire inflation is still a new technology, one that has yet to be widely adopted by managed fleets as a way to go “GREEN” while improving the fleet’s efficiency and the company’s bottom line. Although it has been embraced by entities such as the airline industry and NASCAR for decades, it remains out of the mainstream. Some fleet managers and transportation directors have never heard of using nitrogen for tire inflation, or may be skeptical that this application is just a gimmick. Others may just be reluctant to change from compressed air, which has worked well all this time, or are hesitant to invest money into a process they know very little about. Regardless, myths about nitrogen tire inflation are generally used to influence fleet managers and transportation directors away from nitrogen’s use in their vehicles. One of those big myths is that nitrogen tire inflation cannot contribute to ending America’s dependence on foreign oil. This is absolutely not true, especially when you consider that 70% of the fuel consumption in this country is used by the transportation sector. Anything and everything to reduce that number will contribute. 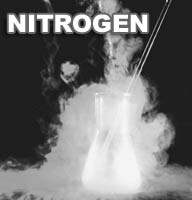 Here, we are providing transparency and in-depth clarity on WHY nitrogen tire inflation is not a scam or a gimmick, but a viable way to create hybrid tires, to reduce the U.S. dependence on foreign oil and to improve a company’s environmental footprint through carbon reduction and sustainable practices for future generations of Americans. When 11% of our carbon consumption is in the transportation sector, and 400 million gallons of gas are consumed every day in the United States, it’s simplistic to say that a few percentage points of improvement in fuel efficiency won’t do much of anything to solve the problem. Those few points add up significantly as more managed fleets make the change to nitrogen. When over 300 million tires are disposed of in landfills every year in the United States, it is completely short sighted to say that nitrogen tire inflation can’t do anything to reduce that number. Nitrogen tire inflation can improve the life of the tire and tread-wear rate and reduce the number of tires purchased by managed fleets. The impact on America’s dependence on foreign oil is relative and is completely tied to Economy of Scale, but the impact becomes DRAMATIC when a managed vehicle fleet, such as the Federal government’s, of over 660,000 vehicles is using nitrogen as an inflation medium – the argument for ALL of the points made here for nitrogen’s use in tires becomes that much more compelling. 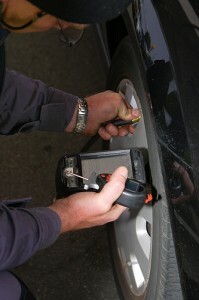 The cost for replacement tires have increased between 6 and 9 percent per year for the past several years. To have proven green technologies helping managed fleets absorb costs and getting the best ROI for their tires is our goal. Nitrogen tire inflation is not only a sound investment; it‘s sustainability factor in carbon reduction and reducing waste in our environment makes nitrogen‘s use a responsible transportation solution for the 21st century. We’ve busted nine nitrogen tire inflation myths that have previously moved fleet managers and transportation directors away from its use and have provided clarity and a strong, sensible, scientific logic to better all of our understanding as we rapidly look for solutions to preserve our planet and reduce oil consumption. This myth is just one of nine big myths about nitrogen tire inflation, and we’ve debunked all nine in our latest white paper: 9 Debunked Myths on Nitrogen Tire Inflation. 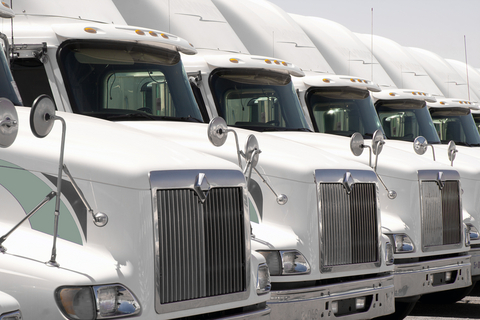 Click the link to download this white paper and to learn how nitrogen tire inflation can help your managed fleet and our country’s dependence on foreign oil.